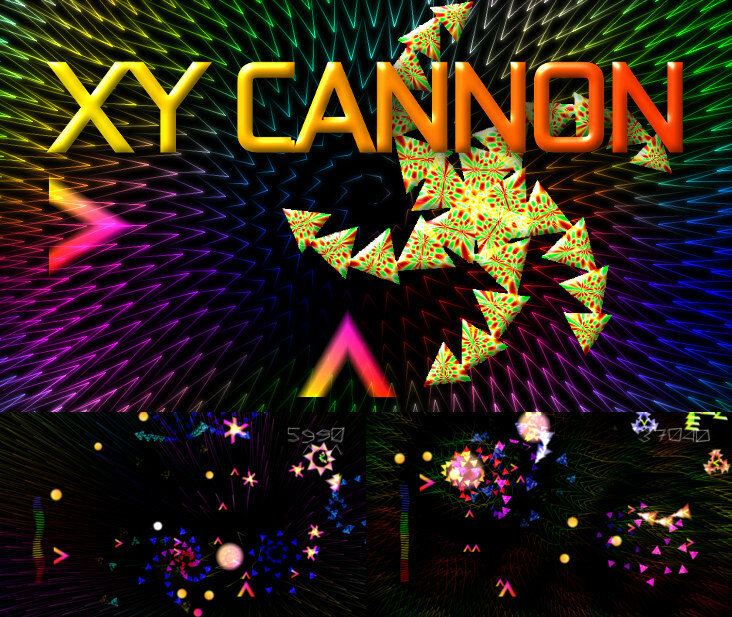 XY Cannon: control two cannons at the same time. A tribute to Jeff Minter's Laserzone. An open source game for Ouya and Android. It has just been released on the Ouya store! Check out the forum at Ouyaforum, or drop me a line at info@tmtg.net. Android: swipe to move both cannons. Ouya: left stick to move Y cannon, right stick to move X cannon, OR: use left or right stick to move both cannons. Some enemies can only be shot with either the X or Y cannon. Pick up the orange orbs to increase firepower.